At the centerpiece of the Donald and Maureen Green Music Center is the Joan and Sanford I. Weill Hall, designed to showcase music and the human voice. 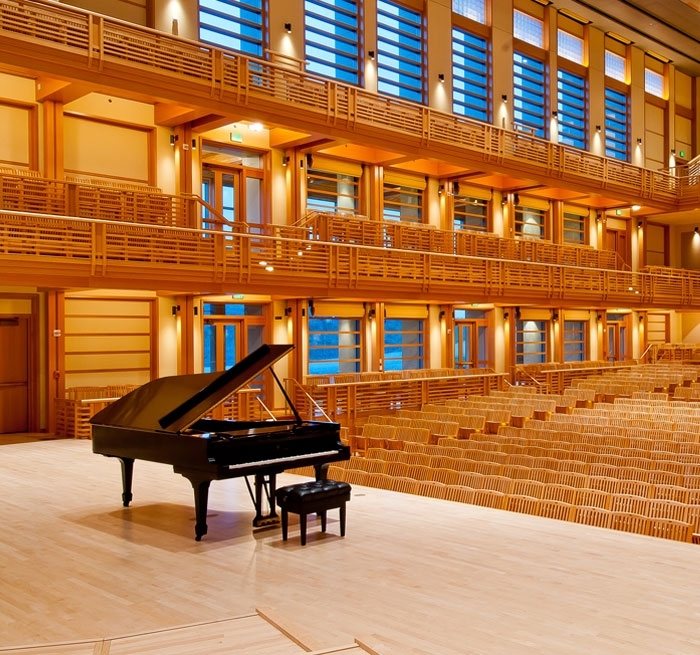 The 1,400-seat Hall was modeled after the Seiji Ozawa Hall at Tanglewood and features a rear wall that can be opened to provide viewing and listening from lawn seating for 5,000 additional patrons. Weill Hall is used for the university’s performance program, as a regular venue for the Santa Rosa Symphony, the Bach Choral Society and other Bay Area orchestras. 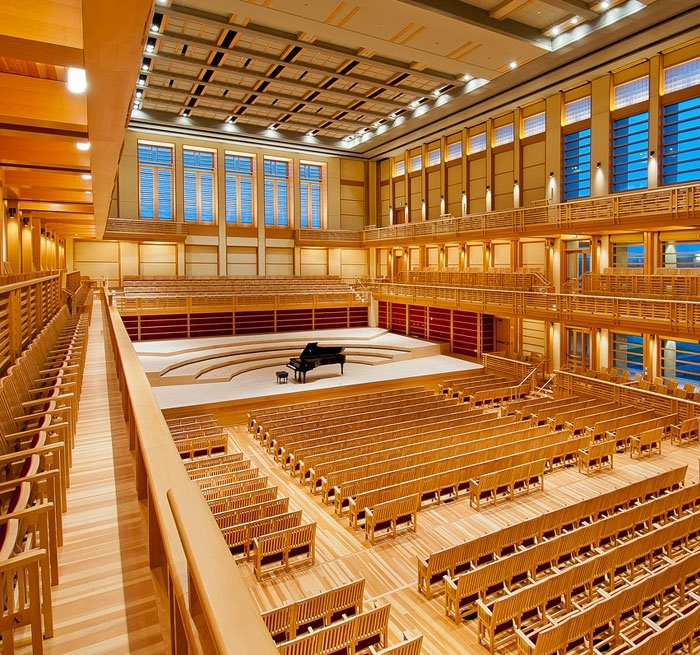 In addition to its formal acoustic environment, Weill Hall provides unique flexibility with mechanized orchestra risers, flexible staging, variable acoustics, overhead rigging and support for a variety of popular performance events. Auerbach Pollock Friedlander provided programming, detailed theatre consulting and theatrical systems design for Weill Hall, as well as Green Music Center’s 250-seat Schroeder’s Recital Hall and the proposed Mastercard Pavilion – a larger scale outdoor amphitheatre. The Center also includes a music education building and hospitality center. 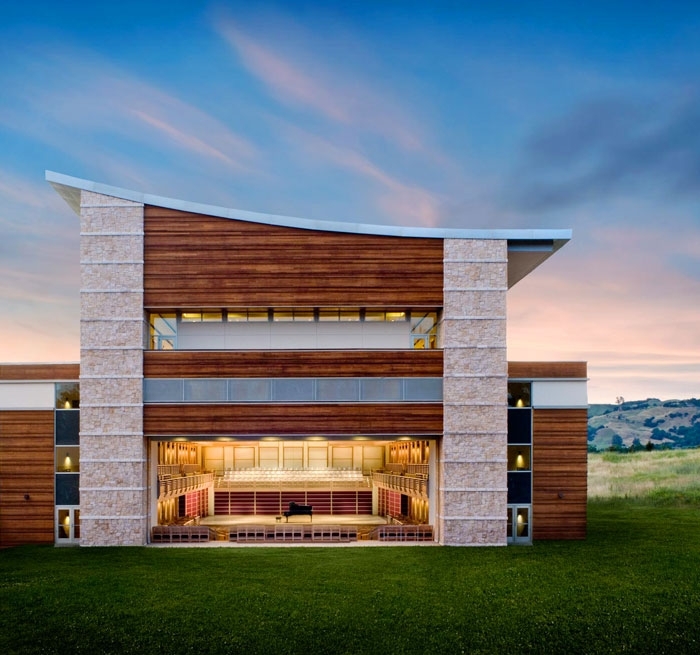 Located in the picturesque Sonoma County countryside, Weill Hall has added a significant cultural dimension to this Northern California community by providing a venue to present a wide variety of music performances with outstanding architecture and functional accommodation for audience and performers.